There is a new app available from Facebook this morning, titled Notify, but Android users should not hurry over to Google Play just yet. 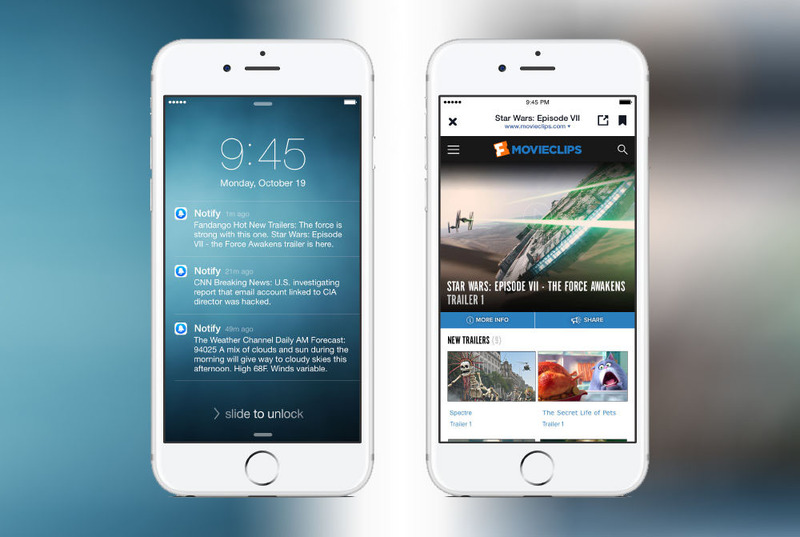 Notify brings you notifications from a multitude of sources such as Bleacher Report, FOX Sports, CNN, Fandango, Vogue, and The Weather Channel, allowing you to get all of your information from a single source, not a variety of apps. Inside Notify, you decide which sources you want to receive push notifications from, all from an easy-to-view list. At this time, Facebook is still working to bring additional sources to the application. Notifications you receive can then be shared with friends via text, email, or on Facebook, or you can save notifications for later viewing. As for availability, Facebook apparently hates Android, so this app is an iOS exclusive for the time being. FB does not state they are bringing the app to Android in the press release, but it might be safe to assume they will eventually, although, I would not hold my breath for it. If you happen to use an iOS device on the side, you can find Notify in the App Store.